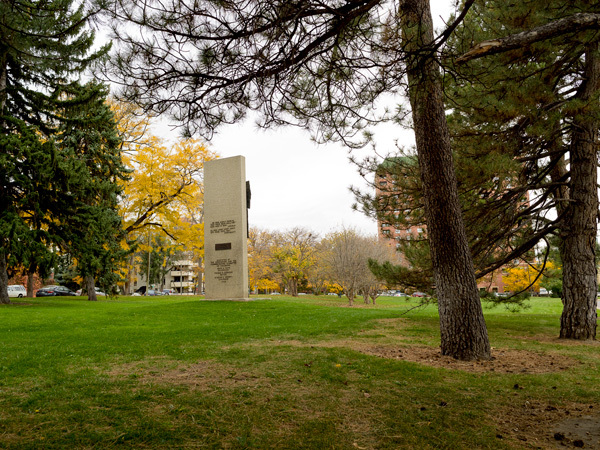 First appearing on cartographer Edward Rollandet’s map of Denver produced in 1889 as an integral part of an extensive park along Cherry Creek, this three-acre triangular parcel on the south side of Speer Boulevard was formerly connected to the larger Alamo Placita Park to the north. Collectively known as Arlington Park and built on a city dump, the property was acquired in 1912 and developed in 1925 by S.R. DeBoer. Bordered on two sides by residential neighborhoods, the hypotenuse of the triangle is formed by Speer Boulevard, which separates this section from Alamo Placita Park. The northwest section of the park is open and planted with turf while the southeast is enclosed by DeBoer’s dense plantings of pine, spruce, and fir. Honey locust and hawthorn create a transition from the coniferous segment to the most open part of the park. 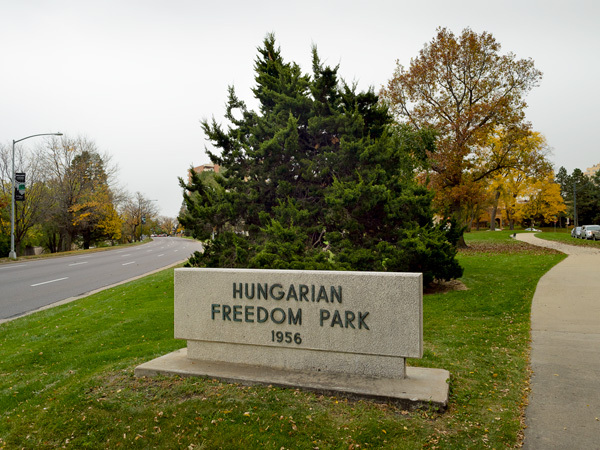 In 1968, the park was renamed to commemorate the 1956 revolt of Hungarians against Soviet oppression. Two years later a memorial designed by Zoltán Popovits was erected in the park's western section. The memorial depicts a bronze figure emerging from a curtain set atop an inscribed concrete stele set into a pad ornamented with metal candle holders. 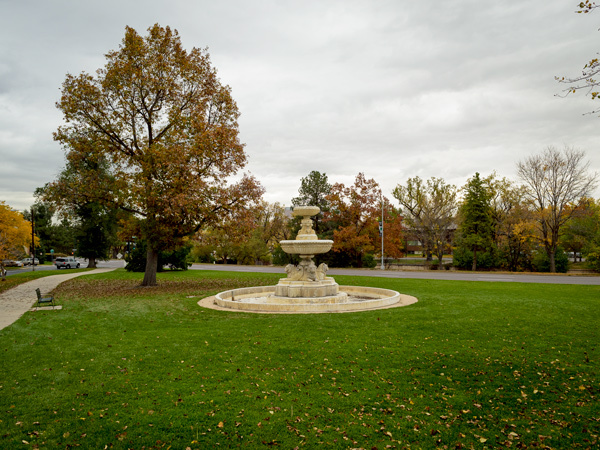 In 1976 a Baroque two-tiered fountain with lion heads designed in 1932 by Maurice Bardin was placed in the park. Across Speer Boulevard, the formal parterre gardens of Alamo Placita Park are visible. 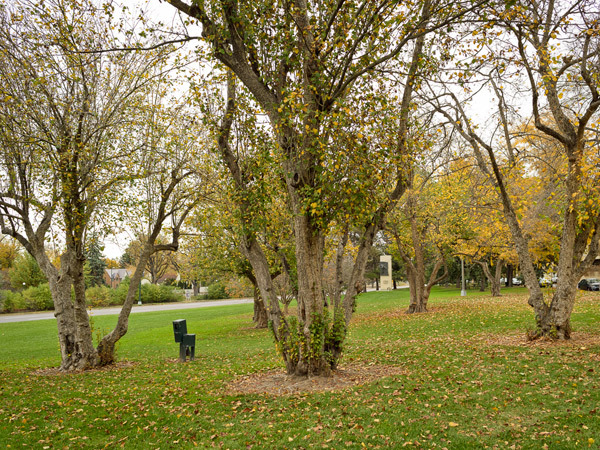 Taken together, these two parks successfully convey DeBoer’s design intent. 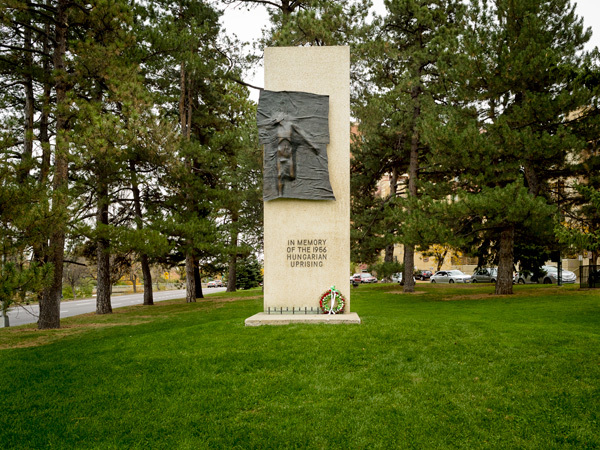 In 1986 Hungarian Freedom Park was listed in the National Register of Historic Places as a contributing feature of the Denver Park and Parkway System.